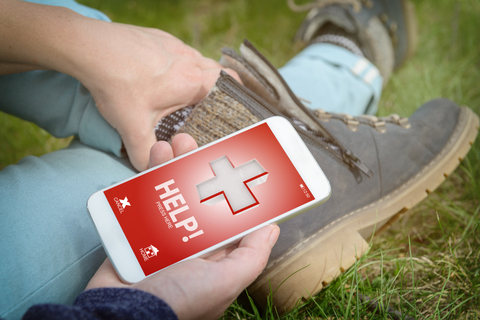 To help Australians be prepared this summer a free smartphone app is available that provides users with a ready reference to first aid information. According to the latest climate outlook from the Bureau of Meteorology, a hotter and drier than average summer is predicted for most of Australia1. With higher temperatures making some venomous creatures more active, Australians are facing an increased risk of bites and stings this summer2,3. Australian survival instructor, Kevin Newton says summer can increase our chances of coming into contact with a venomous creature. Towns and cities are a hotspot for deadly encounters with Australia’s venomous snakes and spiders with a study showing that over half of reported deaths from venomous creatures happened at home, and almost two thirds (66%) occurred in major cities or inner-regional areas4. With many Australians likely to be planning to enjoy the great outdoors this summer, experts encourage Aussies to prepare for potential emergencies and arm themselves with up-to-date emergency first aid knowledge. Associate Professor Julian White, Head of Toxinology at the Women’s and Children’s Hospital, says knowing how to react and apply first aid to venomous bites and stings is crucial for anyone who is living in Australia. “Too many Australians are relying on luck and chance to deal with a first aid emergency instead of having a plan and real-time access to potentially life-saving resources. When it comes to emergency treatment, timing is critical. Knowing how to respond immediately to a bite or sting can be the difference between survival and death,” said Associate Professor White. 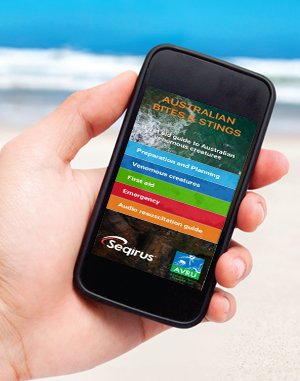 To help Australians be prepared this summer a free smartphone app, Australian Bites & Stings: First Aid Guide to Australian Venomous Creatures is available that provides users with a ready reference to first aid information. Twenty of the world’s 25 most venomous snakes are Australian, including the Eastern Brown Snake, Redbellied Black Snake, Tiger Snake and the Common Death Adder which is the only death adder found in the Sydney region5,6. Australia’s oceans are also home to some of the most dangerous marine animals, including the blue-lined octopus, a type of blue-ringed octopus that has been responsible for several fatalities in Australia. This octopus is often found in shallow shores and their bright colours can encourage small children to touch the creatures, putting them at risk of the animal’s powerful venom7. Other common Australian venomous marine creatures include the Box Jelly Fish that can have up to sixty 3m long tentacles and are most often found during the summer in inshore waters, and the Bluebottle jelly fish often seen on exposed ocean beaches8,9. Every year approximately 2,000 people are bitten by Redback spiders and 3,000 snake bites occur in Australia10,2. Incidences with venomous creatures including snakes, spiders and marine animals were reported to cause 41,521 hospitalisations in Australia from 2001-20134. The Australian Bureau of Meteorology, Climate outlooks – monthly and seasonal Issued: 25 October 2018. Available at: http://www.bom.gov.au/climate/outlooks/#/overview/summary. Accessed in November 2018.
https://www.mja.com.au/system/files/issues/207_03/10.5694mja17.00094.pdf. Accessed in November 2018.
https://onlinelibrary.wiley.com/doi/full/10.1111/imj.13297. Accessed in November 2018. 5 Australian Museum, Dangerous Australians, Available at: https://australianmuseum.net.au/dangerousaustralians#. https://australianmuseum.net.au/common-death-adder. Accessed in November 2018. Australian Museum, Blue-lined Octopus, Available at: https://australianmuseum.net.au/blue-lined-octopus. Australian Museum, Box Jellyfish, Chironex fleckeri, Available at: https://australianmuseum.net.au/boxjellyfish.